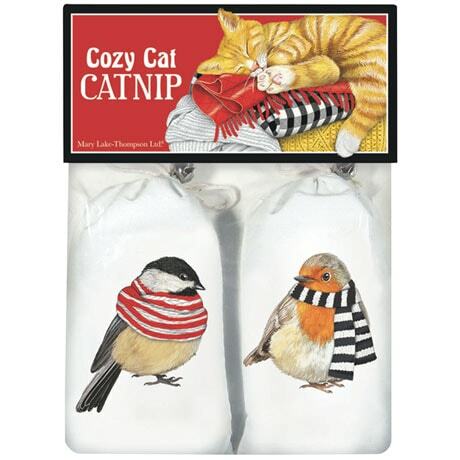 When the weather outside is frightful, the closest your ferocious feline will get to chasing birds are these Birds in Scarves Catnip sachets! Two bright-eyed chirpers—wrapped in cute striped scarves—decorate these canvas pouches, each topped with a bell to make them perfectly fragrant playthings for your beloved cat. We're offering a pack of two sachets, to keep kitty content until spring comes again.